Master Spas utilizes a variety of eco-friendly advances, such as filtration and insulation technologies, to create a better, greener product. 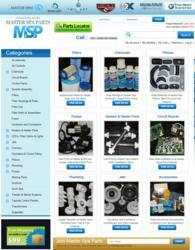 MasterSpaParts.com is your leading source for service parts for the Master Spas Filters, Pumps, Parts, Circuit Boards, jets etc. Master Spas has been a top contender in the hot tub industry for over 25 years. Most recently, the main focus has been on going green. From filtration to operating expenses, Master Spas has been applying eco-conscious technologies to their products. World class hot tub manufacturer, Master Spas Inc, has been on top of the spa business for a while. In fact, Master Spas has been a top contender in the hot tub industry for over 25 years. Most recently, the main focus has been on going green. From filtration to operating expenses, the Indiana-based company has been applying eco-conscious technologies to their products to create one of the most environmentally friendly tubs on the market. Master Spas is frequently recognized for their patented Eco-Pur filtration system. This top of the line hot tub filter is most often noted for its water clarifying abilities. While this notoriety is most certainly deserved, it is not the only benefit of using this type of spa filter. Eco-Pur technology is based on natural mineral purification. While the hot tub filters are working, the Eco-Pur filter is not only removing debris, it is also removing microscopic particles and sanitizing the water. Using an Eco-Pur filter cuts down on the amount of harsh chemicals needed to keep spa water clean. Less chlorine is better for the hot tub, the user, and the environment. Master Spas has also adopted a new type of insulation. Their Polar Wrap Insulation System is combined with Icynene technology to ensure each Master Spas hot tub is compliant with the strict energy standards of the California Energy Commission (CEC). Not only does the premium insulation conserve energy, the insulation itself is eco-friendly. Icynene is a polyicynene expanding foam insulation that is environmentally safe, allowing the foam to be sprayed without releasing harmful gasses and other hazardous emissions. Operating costs remain a major concern for most consumers, regardless of the product. To allow spa owners to have more control over the expense of operation, Master Spas offers an "Economy Mode" operating function. In this function, the spa will only turn on the heater if the spa is already running for a filtration mode. This function kills two birds with one stone, so to speak. The economy operating mode eliminates the occurrence of pumps turning on automatically throughout the day and therefore reduces electrical consumption considerably. Master Spas has incorporated various other components into their hot tub design in order to achieve energy efficiency above and beyond industry standards. To learn more, please visit http://www.masterspaparts.com.